As one of the nation’s leading property management software companies, RealPage Dallas has experienced exceptional growth over the past two decades. 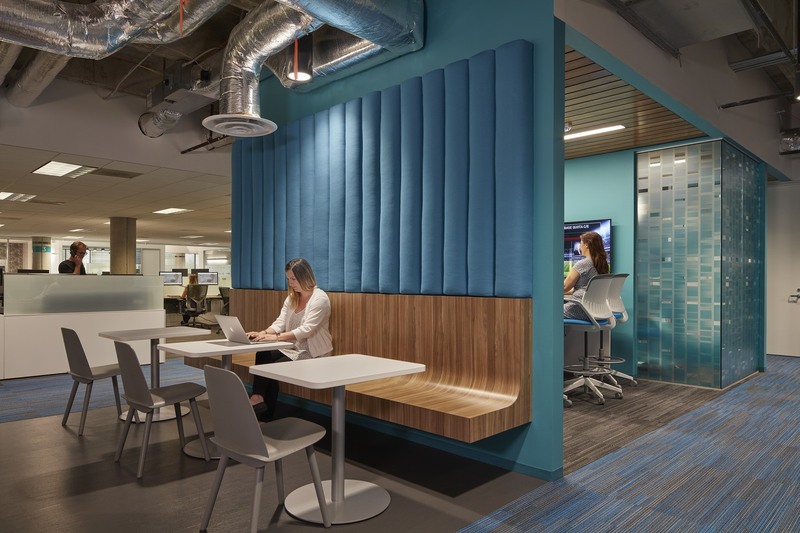 In response, they saw a critical need to consolidate their four disparate locations into a unified headquarters that would improve collaboration, communication, and workflow across their global business. 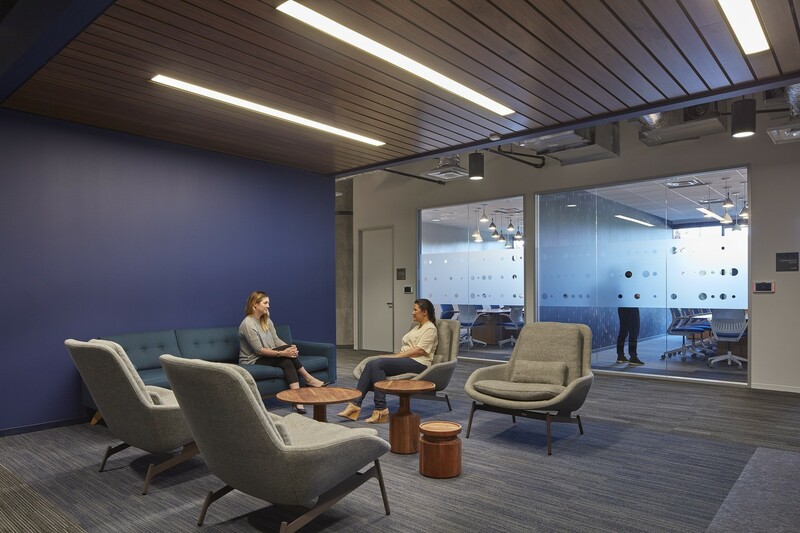 In developing a design for RealPage, our San Francisco team began by gathering thoughtful research and insight into the company’s business methods and workplace environment. We placed significant emphasis on advancing the culture and ideals of Real Page, specifically how colleagues work and communicate. 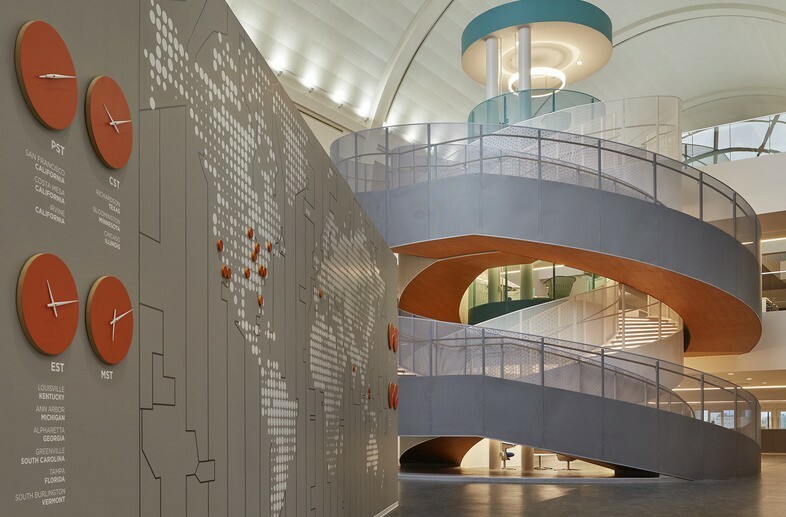 In response to the original campus, where employees were siloed, we designed the new 450,000-square-foot headquarters at the human level with the belief that spaces for eating and daily activities are just as important as meeting spaces. 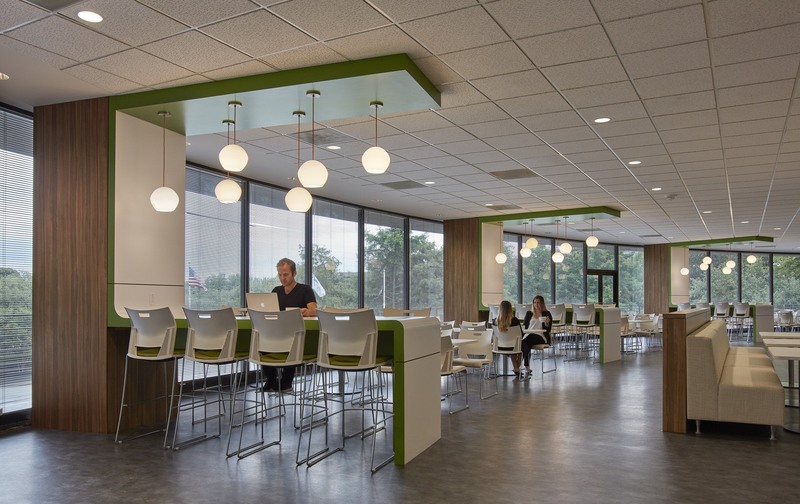 Our design team created amenities such as a farmer’s market-style cafeteria, coffee bar, gym, auditorium, training and conference center, and a film and sound studio. 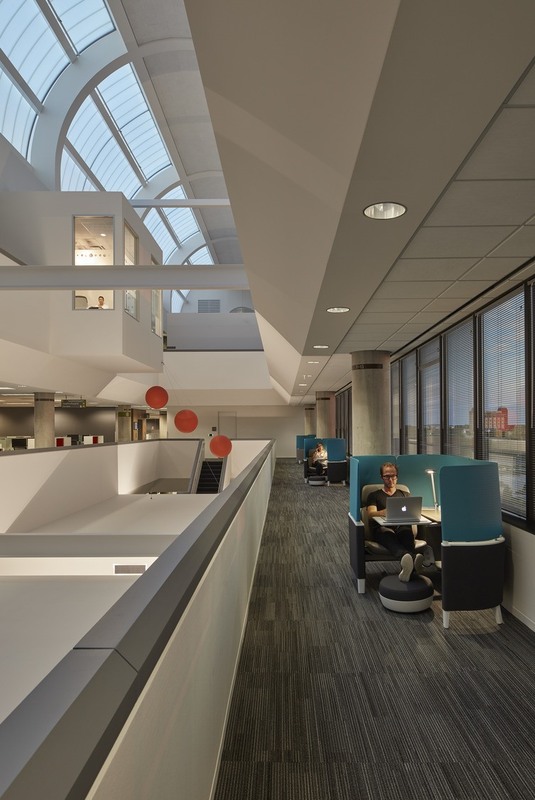 In addition, open workspaces feature highly flexible furniture custom-created by Steelcase. The entire space is broken up into “neighborhoods,” each housing workstations and hubs. The hubs are made up of private offices and open and closed collaborative spaces. Given the project’s fast-track schedule, our team provided numerous in-house services to maximize time and budget to achieve such an ambitious design. 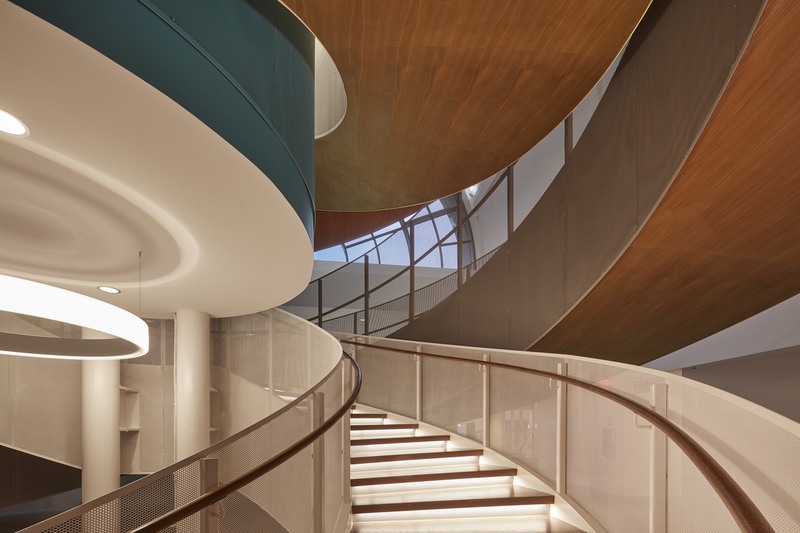 From interior design and architecture, to engineering, lighting design, and environmental graphics, our multi-disciplinary approach allowed for a smooth and efficient project delivery. 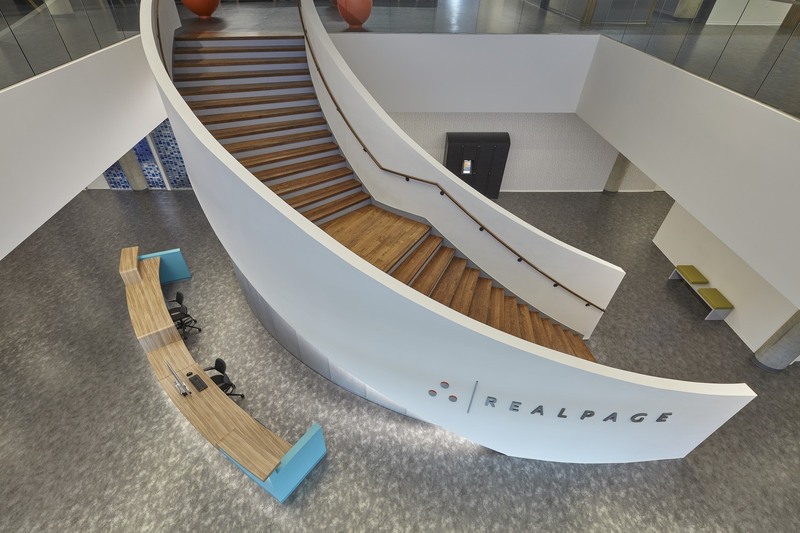 Today, the new headquarters is home to more the 2,000 employees and RealPage is able to offer a cohesive work environment and creative workplace culture that both attracts and retains its workforce. For more information, contact Melissa Pesci, Principal on RealPage. The RealPage headquarters move needed to be very strategic. Working with HGA allowed us to bring in creativity, flexibility and nimbleness.